This amazing set of props will complete your Themed Event Perfectly! 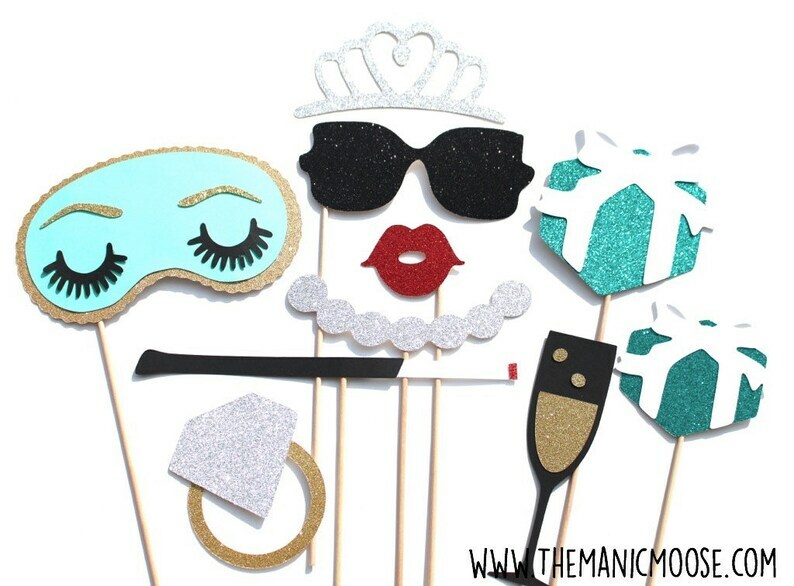 Whether it's a bridal shower, party, wedding, or just for fun - the props in this collection will be the talk of the night! Featuring glitter galore (no worries - glitter will not shed) - each piece is carefully handcrafted making for the utmost amazing and unique photos! Features Gorgeous Glitter, and the famous Blue Hue! ♥They turn your ordinary photos into extraordinary, priceless memories that you can look back and laugh about for years! ♥ We use only 100% quality birch wood WOODEN dowel rods which makes them uniform in color as well as sturdy. No broken, flimsy sticks here! ★ DON'T FORGET TO ADD A FUN PHOTO BOOTH SIGN!! These props were awesome. So well made and we had such a great time at the shower for my daughter. Super cute, but 3 of them had came unglued by the time I received them!